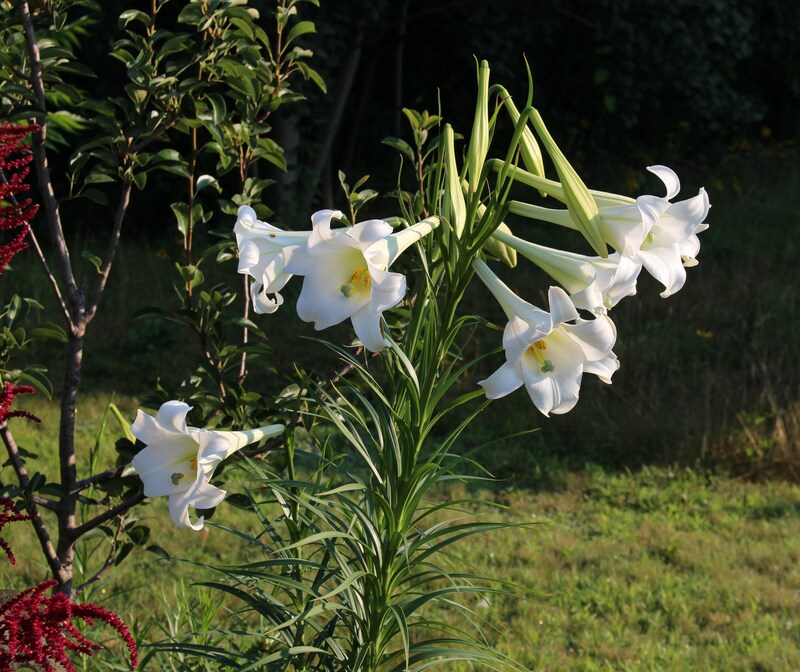 This entry was posted in late summer, perennials, summer bulbs and tagged lilies from seed, lilium formosanum, wordless wednesday. haha yes, to non-gardeners especially when you offhandedly mention you grew something from seed they seem even more impressed. I have to admit these were no harder than growing tomatoes… in fact they’re right in the tomato bed and seem to love the spot! On well done Frank. Absolutely beautiful. I thought L. regale was the quickest to bloom from seed but these are fast ones too. Well worth any effort for these beauties. Exquisite, and no lily beetle damage. I hope they never reach you. I’m grateful to be outside the range of the dreaded lily beetle, but I’m sure my days are numbered. There were some rumors this spring of an introduced beetle predator making life a bit easier for lily growers but I haven’t heard it verified yet. I have a few L. regale from seed as well, but these will need another year yet. I didn’t see it, but I’ve read that with good care L. formosanum may even bloom it’s first year. What an idea, and annual lily! I have plenty which has seeded itself out, but my addiction to new plants keeps me filling the pots as well! Thanks Matt. I’m also amazed at how beautiful each lily bloom is! Beautiful I knew some lilies weren’t difficult from seed but two years is amazing for something so large. Is it perfumed too? 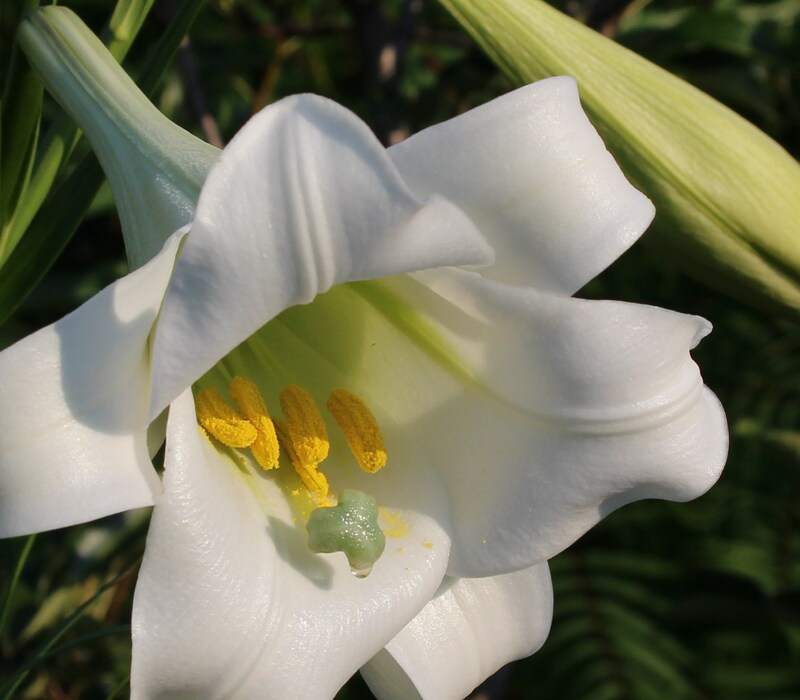 This lily has a faint fragrance, but I’m not often a good judge of scent. I was astounded this spring when it grew up so well! It doesn’t happen all that often, but when it does I love it! Haha, I don’t think my little lily success will come anywhere close to a tree peony bloom, now that will be a sight! Not at all difficult, Planted into a pot one winter, covered with a layer of gravel and then left outside to sprout in spring. Very nice. I also grow lilies from seed but usually they only boom on the 3rd year. I have a large batch of Lilium pumilum that have sprouted this year. They should bloom in the summer of 2017! Put that way it seems far in the future, but it will come soon enough. It’s great when you have a few seed batches coming along each year, there’ almost always something new blooming each summer once you get the pipeline filled. 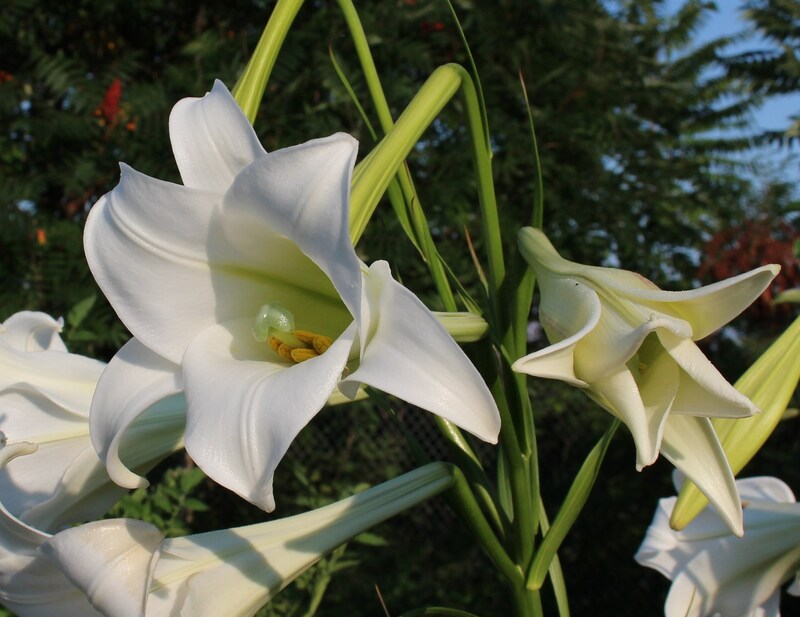 This lily is fast from seed, I’ve heard it may even bloom in the first year if it likes the conditions enough and has a long enough season…. It tolerates heat as well, more of a fast growing southern lily I suppose. Pretty impressive. I thought longer from seed. I just let them self seed and never really watched how long they took to flower like that. This lily is exceptionally fast from seed. I bet most others would take several years for the first bloom. Ooh, that is nice. And I like how it blooms so late in the season. Lilies don’t always look as special once they’ve bloomed, so I always like a late bloomer.